I think that it is beneficial for anyone who is interested in graphic design to check out http://www.logodesignlove.com because it is a website that is devoted specifically to the design of logos and brand identities. You could also check out a printed book version of logo design love which serves the reader as a guide to creating iconic brand identities. The author of both the website and book is David Airey, a graphic designer from Northern Ireland, and he updates the website at least once a week with features, news, and opinions. http://www.brushlovers.com is a very useful website where graphic designers can get unique photoshop brushes. While on the site, a designer can browse through the brushes and enjoy both free and premium styles. The brushes on this website are in high resolution and can be used for both personal and commercial use. 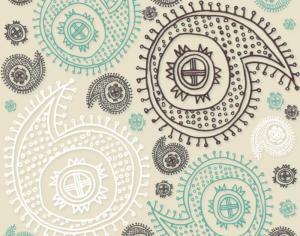 The image displayed is an example of a premium brush called “Paisley”. It’s only $3 and can be changed with as many colors, hues, or effects that anyone could want. Another cool feature on this website is that you have the ability to purchase packs where you will receive the best deal. For example if you purchase a 10 brush set for $12 you can choose 10 different brushes that would originally cost $3 each. This is a great deal for any designer and I highly recommend usage of this website. http://www.mycroburst.com is a website where people in need of a logo, website design, or design of any kind can go and it’s also a place for designers to work. If you are joining the site as a customer there is a listing fee of $19 to run your contest and you will need to enter a prize for the winning designer at a minimum of $149 depending on the project. If your a designer joining the site there isn’t any fee and you can explore the contests and design as much as you’d like. This website is successful because each contest gets designs in a matter of hours and select designers can win prize money while building their portfolio. The image below is an example from a contest listed for a real estate logo. This logo hasn’t won the contest because there is still a few days left running, but it’s a good example of what you would be receiving design wise if you were to sign up as a customer. This designers user name is niklaslffedesign. This is an image of the graphic designer’s array of business cards. 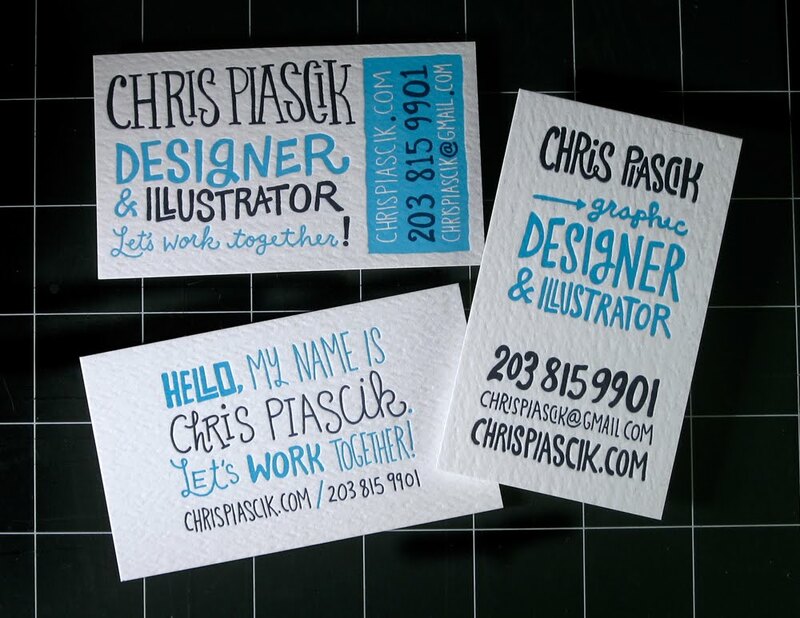 His name is Chris Piascik and his online portfolio/website is http://www.chrispiascik.com. I chose Chris’s self promotion business cards because unlike the standard, boring card, Chris’s business card’s are fun. There is an interesting typeface and bright blue color which I love. If I was in need of a designer I would most likely choose a designer with a fun business card like this opposed to a more serious one. This is because it shows creativity and originality and I would want the same in my design or logo. This information design was created by Kelly Holla and can be found at http://www.kellyholla.com. I think this design is interesting because Kelly illustrates the amounts of waste that is produced by the coffee industry and Starbuck’s attempt to fix the problem. I like the idea of this information design because I personally would have never thought about the waste from the coffee industry. Sometimes these things need to be brought to our attention. 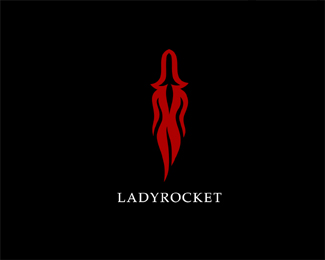 This logo is a good example of positive and negative space because clearly the image is both a lady and a rocket. I believe that not only is this logo well created because of the positive and negative space, but also because it’s so simple and easy to interpret.